Peacefully nestled in the family-friendly suburb of Casey in a quiet enclave directly opposite parkland sits this charming three-bedroom home. Superbly designed and beautifully appointed 11/17 Pickup Close is an unassuming delight. 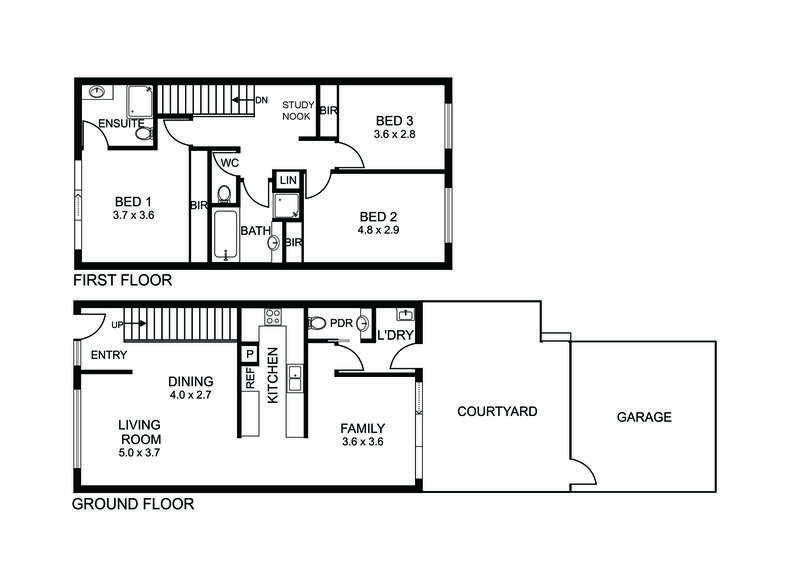 Spread across two levels, this flexible floorplan offers 134m2 approx. of living. The lower level features open plan dining and lounge, separate family room, galley kitchen and a powder room for guests. The landscaped courtyard with vegetable patch seamlessly flows off the family space and is perfect for relaxing in Summer evenings or enjoying a morning cup of coffee. A study nook with in-built cabinetry, the master bedroom with ensuite and views and other two bedrooms serviced by the main bathroom are segregated upstairs. A double lock up garage completes this gorgeous home. The Owners’ Favourite Part: The private and tranquil location opposite parkland.